Your little Superhero will absolutely love this combo unit. 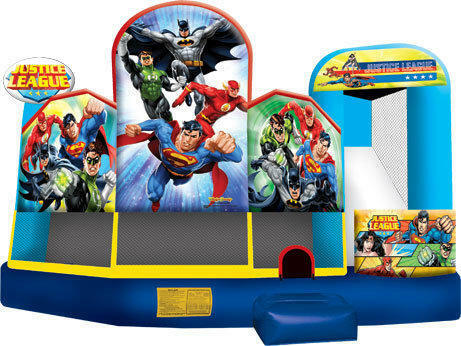 This digital graphics on this bounce / slide combo feature Batman, the Green Lantern, Superman, Flash, and Superwoman. Kids can jump, dodge the vertical and pop-up obstacles, or slide down the impressive slide on this unit. It also features a basketball hoop on the inside.